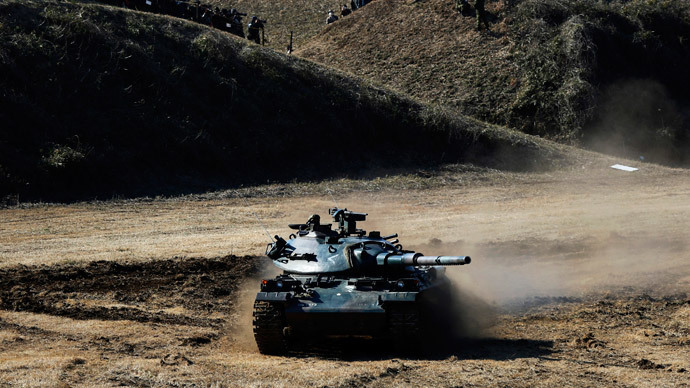 Japan’s government has approved its largest military budget in 70 years, in contravention of the country’s pacifist constitution, in a display of force to its highly militarized neighbors. 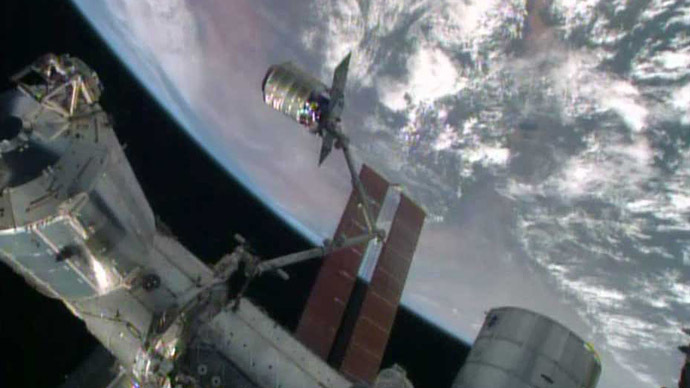 The extra military spending comes amid a stalling economy. Prime Minister Shinzo Abe's Cabinet has given the green light to an unprecedented nearly 5 trillion yen ($42 billion) defense budget, which comes into force in April. 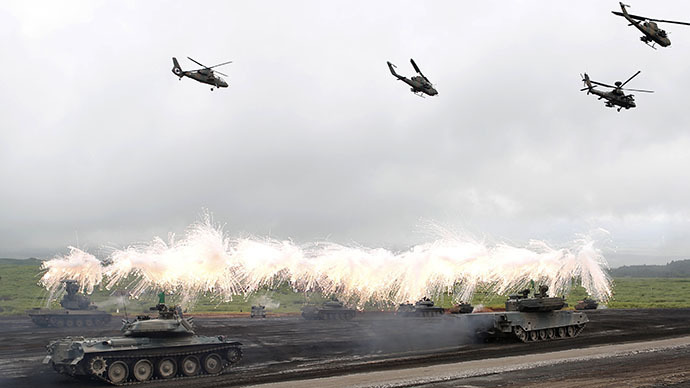 The extra military expenditure mirrors an expanded overall budget, which has reached a record 96.3 trillion yen ($814 billion). The budget still awaits parliament’s approval, where the government coalition headed by Abe has a majority in both houses. 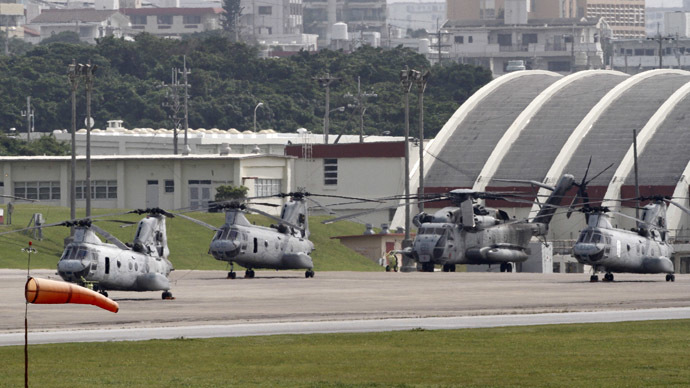 The 2 percent increase in military spending is the third hike during Abe’s rule. 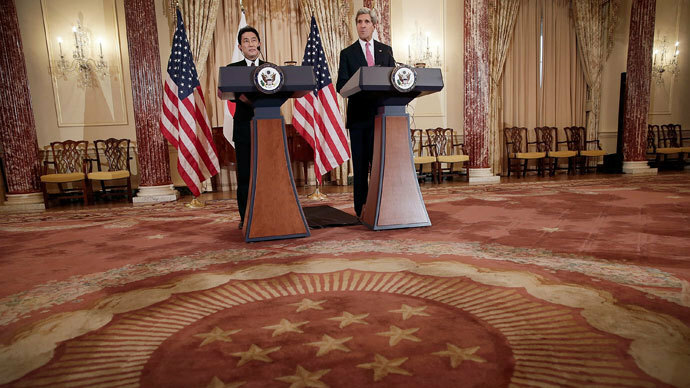 Since he took office in December 2012, Abe ended the 11-year decline in defense spending. 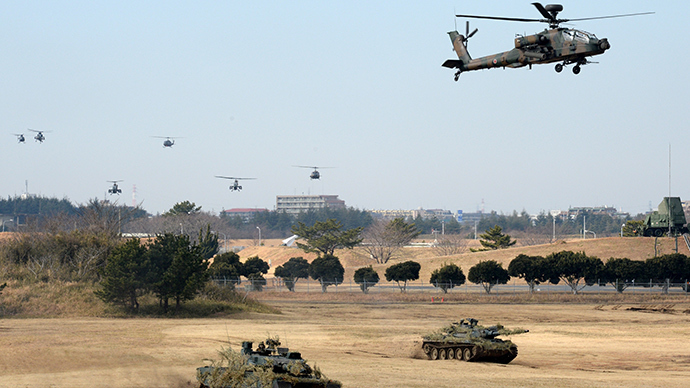 In 2002, Tokyo passed its previous highest military budget of 4.96 trillion yen. “This budget will contribute to achieve both economic recovery and regaining fiscal health together," PM Abe said at a press conference Wednesday. 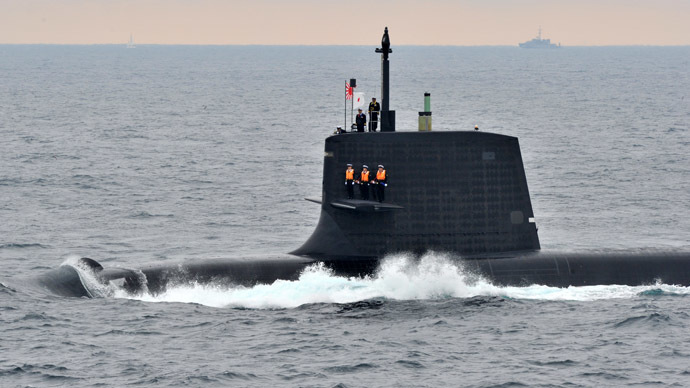 In line with plans announced in late 2013, Abe’s Cabinet plans to spend 24.7 trillion yen between 2014 and 2019 on military hardware, including on amphibious vehicles, drones, fighter jets and submarines. 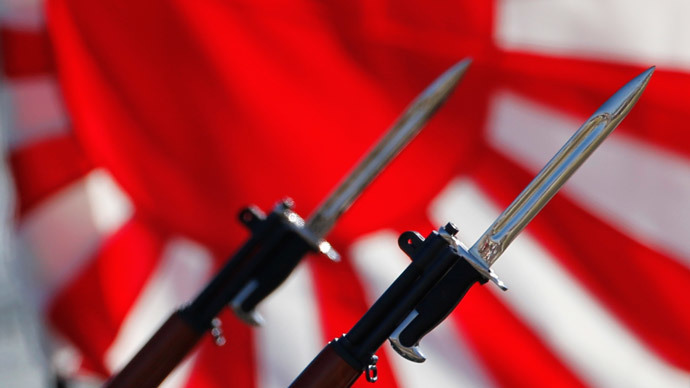 Japan’s military purchases consist mainly of US-made military hardware and homemade weaponry. 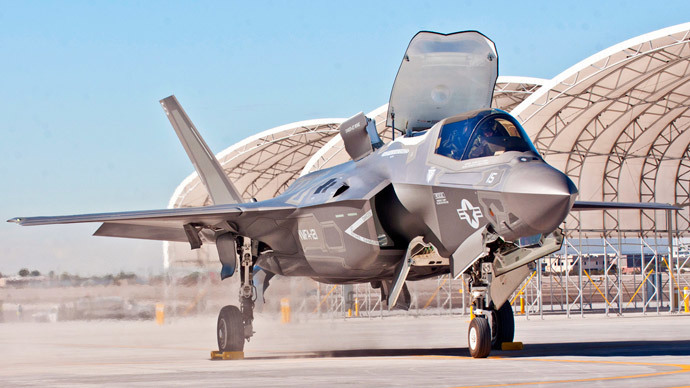 Tokyo intends to buy six 5th-generation F-35A stealth fighter jets (reportedly for $148 million apiece), as well as five US-made Bell Boeing V-22 Osprey tilt-rotor aircraft (which have an estimated price tag of $68 million each). Japan’s so-called Self-Defense Force is also looking forward to get a fleet of US-made Global Hawk drones (estimated cost over $100 million a unit), yet this will take place over a five-year period and funds for this purchase will not be allocated from the 2015 military budget, Japanese officials told AFP. The Japanese Defense Ministry’s shopping list also includes 20 Kawasaki P-1 (350 billion yen a unit) national-made maritime patrol aircraft, at 350 billion yen apiece) which are already in service with the Japan Maritime Self-Defense Force. Tokyo’s increased military expenditure comes amid rising tensions between Japan and China over territorial disputes in the East China Sea. Abe’s government is struggling to prevent the economy slipping into recession. The country has an aging population and soaring welfare costs. In 2014, Japan’s population fell for a third straight year, with the elderly (over 65 years old) making up 25 percent of the nation. Social security spending in 2015 is expected to account for about one-third of the budget. The Cabinet is boosting government spending, changing its tax policies and prompting the nation’s senior citizens to spend more on the younger generation. 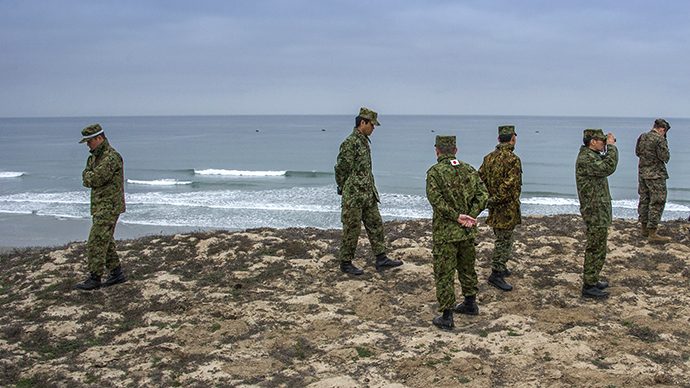 Abe has previously tried to alter the country’s pacifist constitution and downplay the restrictions it imposes on the national armed forces, but has failed to gain the necessary public support. 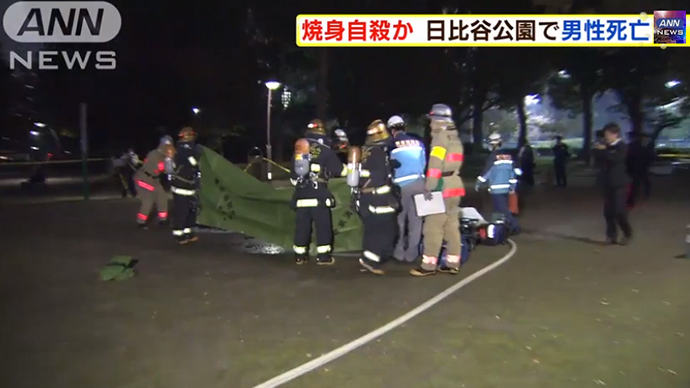 Instead, his government has reinterpreted the law, saying that it allows the Japanese military to come to the rescue of an ally under attack.